In the spirit of Just Science Week, this might be a good time to take stock of where we are in the synthesis of our anti-malarial agents. Most of the starting materials are commercially available. One of the key aldehydes, DOPAL (3,4-dihydroxyphenylacetaldehyde) was not available but we were able to make it in one step from adrenaline. Before using DOPAL routinely, we sought to understand the reaction using cheap commercially available aldehydes. DOPAL bears phenolic groups and is a benzylic aldehyde. To simplify analysis of these factors we used phenylacetaldehyde, piperonal, 3,4-dihydroxybenzaldehyde and similar compounds. Recently, we started using H and C NMR to monitor these reactions closely by carrying them out in NMR tubes. By exporting the NMR files in JCAMP format we were able to present these spectra in an interactive format on the web using JSpecView, giving anyone the ability to expand and overlay spectra at will. Handling all spectroscopic data in electronic format offered the further advantage of being able to apply automation to the analysis, such as the generation of kinetic data using VBA in Excel. Although we have not yet isolated and fully characterized a Ugi product or diketopiperazine, we have reported all of our attempts in Open Notebook Science format. Some of the information from these experiments should be useful to other chemists attempting similar reactions. The list of experiments carried out by my group related to the Ugi reaction can be found here. 1) The formation of an imine with phenylacetaldehyde is very fast (at least 10/(M*min)) but is accompanied by side reactions that dominate the reaction. This suggests that similar problems may plague the benzylic aldehyde DOPAL. 2) Aromatic aldehydes such as piperonal and veratraldehyde react much more slowly than phenylacetaldehyde in the formation of an imine. 3) Imine formation is 14 times slower with t-butylamine compared with 5-methylfurfurylamine. 4) Imine formation is about 10 times faster in methanol compared with chloroform. 5) 2-morpholinoethylisocyanide is not a suitable component for a Ugi reaction because it decomposes in the presence of the carboxylic acid boc-glycine. This is unfortunate because, unlike most isocyanides, this one does not stink. We had to return to the commercially available benzyl isonitrile. 6) In the absence of the carboxylic acid component, the imine and benzyl isocyanide do not react. 1) Sometimes, the imine reverts back to the aldehyde upon addition of the carboxylic acid boc-glycine. This can range from nearly complete reversal to just a small extent. James and Alicia are looking into this, including using molecular sieves to trap the water during imine formation. 3) Is a phenol compatible with the Ugi reaction? Sean is showing that the imine formation is accelerated using 3,4-dihydroxybenzaldehyde. It remains to be seen how it behaves with the rest of the components but we have reason to believe that it might be tolerated. 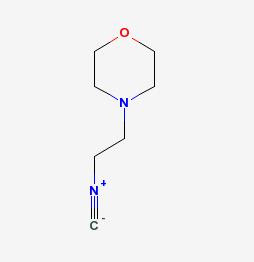 4) Will the Ugi product cyclize? The cyclization approach we are using is based on work using cyclohexenyl isocyanide, which is not commercially available at a reasonable price. It remains to be seen if this will work with benzyl or t-butyl isocyanide. You know in Sweden we got news on february saying: Researchers believe that they have discovered a new treatment for the severest form of Malaria, which may be able to help in preventing the two million lives the disease claims each year. It looks like the discovery, by researchers at Stockholm biotech company Dilafor and medical research establishment Karolinska Institutet, is being hailed as a potential landmark in the decades-long drive to find an effective weapon against malaria. But I can not find which molecule have they synthesized or when is gonna be available..
That is actually one of the reasons that we like Open Science. It is often really difficult to tell from press releases exactly what has been done.